Born March 20, 1948 in Parry Sound, Ontario. He excelled on the local playing fields, and on the ice where he quickly became recognized as one of hockey’s greatest young prospects; but his boyhood teammates, family, and friends soon said farewell to Bobby Orr. His hometown passion endures, but he has become a global icon for hockey’s international appeal. 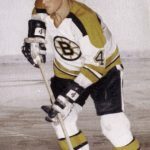 When Bobby was 14 years old, the Boston Bruins made arrangements for him to play with the Oshawa Generals in the Metro Junior A League. He continued to live at home and commute to each game, and during that initial season he was selected to the league’s Second All-Star Team. All the speedy youngster required was size to make him a bonafide star – he was only fight-foot six and 135 pounds. By the time his junior career was over – at age 17 – he was a sturdy six-footer, but still a freckle-faced kid with a brush cut and a warm smile. In his first NHL game, against Gordie Howe’s Detroit Red Wings, the 18-year-old Bruin recorded his first point while putting in an outstanding defensive effort. He won the Calder Trophy as the best rookie and also made the NHL’s Second All-Star Team. He was second in league in scoring by defensemen and finished the season at plus-30. The greatness and his style’s physical risk were both apparent in that opening season. Bobby suffered an injury to his left knee and it was the beginning of a long battle that eventually ended his career. 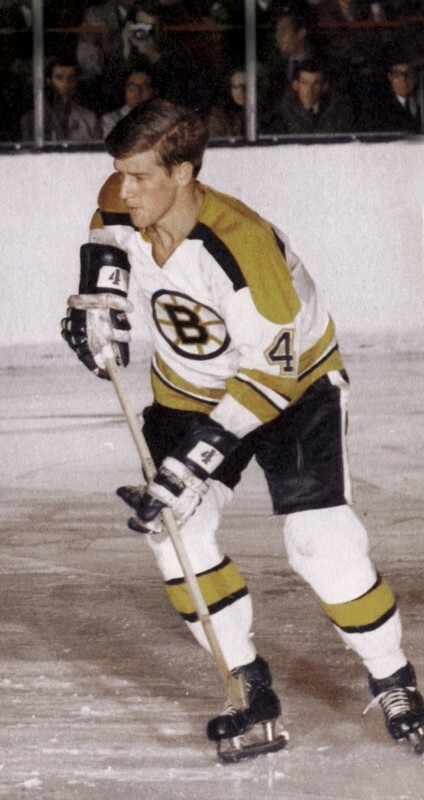 Bobby won his first Stanley Cup in 1970, an accomplishment that the Bruins hadn’t achieved in 29 years. 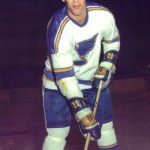 Game four against the St. Louis Blues went into overtime, and during those tense minutes Bobby took Derek Sanderson’s pass from the corner and flashed in front of the net to bury it behind goalie Glenn Hall. The photograph of that moment has become one of the NHL’s most enduring images, and Bobby was awarded the Conn Smythe Trophy as the playoffs most valuable player, an award he would win when Boston again won the titles in 1972, again with the Cup-winning goal coming off Bobby’s stick. His style changed the game forever and the accolades were hard-earned. 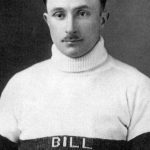 Bobby won two scoring titles, the only defender to accomplish that feat, and had career season highs of 46 goals and 102 assists. For eight consecutive seasons he won the Norris Trophy as the best defenseman and three times he was the league’s Hart Trophy MVP. His plus-minus rating when he was at his best was untouchable at plus-124 in 1970-71, when he scored 139 points. 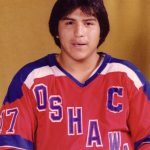 Bobby struggled with his left knee and played only 10 games in 1975-76, and then signed with the Chicago Black Hawks – leaving behind a team that had been part of his career since he was a teen in Parry Sound. 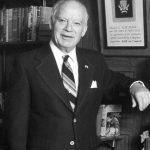 Having missed all of the Summit Series, the 1976 Canada Cup proved to be Bobby’s only major appearance in a competition against the best in the World. 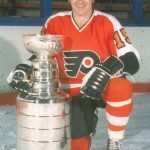 He was outstanding in the Canadian team’s run to the championship: a co-leader in scoring with Denis Potvin, a member of the tournament All-Star Team, and winner of the MVP Award. Bobby played 20 games of his first season in Chicago and spent the entire 1977-78 season recuperating from knee surgery. A valiant attempt to return ended after six games into the 1978-79 season. At the age of 30, he retired. He now shares his love of the game while leasing a player agent group.